Custom furniture upholstery in North Hollywood California. Furniture upholstery North Hollywood service the leading upholsterers in the upholstery industry, have over 25 years of experience serving to the specials clientele with confidentiality and privacy for Upholstery. North Hollywood is provided by ML Upholstery services a premiere of custom residential an commercial furniture restoration. In North Hollywood we upholster sofas, chairs, sectionals sofas custom made, custom headboards upholstery, custom made patio cushions, new sofa cushions for sofas, outdoor furniture upholstery, etc. ML Upholstery North Hollywood is the greater upholstery shop serving California cities. 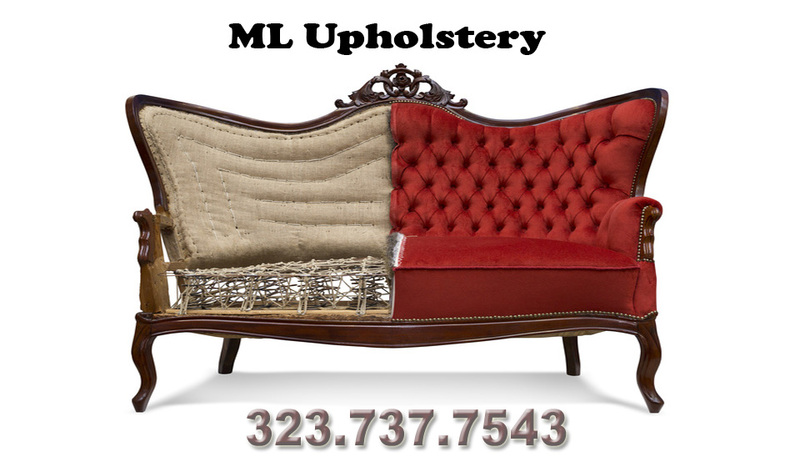 ML Upholstery in North Hollywood is the number one upholstery shop in California. Helping families live better. Custom furniture upholstery North Hollywood Services. 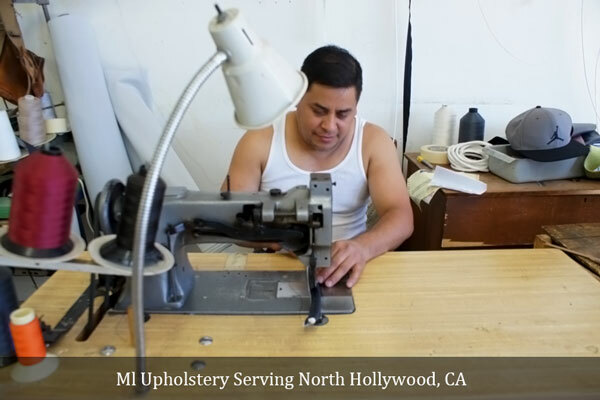 The skilled upholsterers at ML Furniture Upholstery North Hollywood specialize in the repair and custom new made furniture. Manuel Lopez master upholsterer at ML Upholstery knows all major furniture brands known in USA and also works will all major providers of upholstery fabrics made in USA. 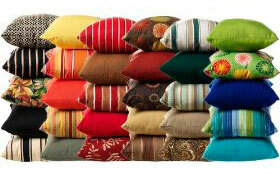 We sell upholstery fabric at retail prices in North Hollywood, CA. ML Upholstery North Hollywood aims to provide best customer service, high quality, lowest prices, and flexible pick up or fast delivery where is possible to customers in North Hollywood, California. At our upholstery shop we understand customer needs. The key to our success is listening customer needs. We ensure buying made quality American materials and upholstery supplies we use. With over 25 years of experience we promise to give you the best quality styles and best upholstered furniture in North Hollywood. As a result we claim that we are the best to upholster your furniture. Warranty and full refund you get if you are not satisfied with our job. North Hollywood Upholstery is a great service in the furniture interior design and upholstery category in California. This unique furniture upholstery shop will make the North Hollywood area a great place to work with residents in the area. North Hollywood Upholstery shop services from old sofa to brand new sofa. Let Manuel Lopez (owner) and his employees help to restore your beloved furniture. You may bring any furniture such us: sectional sofa, cushions, couches, single sofas, love seats, chairs, patio cushions, outdoor furniture, restaurant booths, or any other furniture you own. All services are added when you hire ML Upholstery North Hollywood California. We go to your place or you came to us. Manuel loves to do business with customers in the area. Best rated #1 upholstery shop industry in Los Angeles, CA. 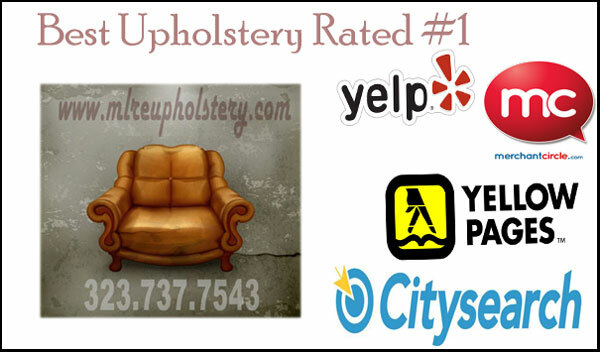 Best Upholstery Shop Rated #1 Online in Los Angeles, California, Now Serving North Hollywood Residents. We go to Your Home or Business for Free Estimate, Pick up, and Delivery. Best upholstery shop rated #1 online in Los Angeles, California. Now serving in Norht Hollywood in California. Set up appointment for Free ESTIMATE North Hollywood, California. Outdoor furniture upholstery in North Hollywood, CA. Sofa outdoor, chair outdoor. Patio Cushions North Hollywood. Commercial Upholstery: Hotels, Restaurants, Cinemas, and hospitals in North Hollywood California. Residential Upholstery: homes and apartments located in City of North Hollywood. Tags: North Hollywood upholstery, North Hollywood upholstery furniture, reupholstery North Hollywood, sofa repair North Hollywood, chair repair North Hollywood, sofa restoration North Hollywood California, commercial upholstery North Hollywood, residential upholstery North Hollywood CA, furniture upholstery North Hollywood, furniture upholstery North Hollywood California. Custom made sofa upholstery services in North Hollywood. By ML Furniture Upholstery North Hollywood services.